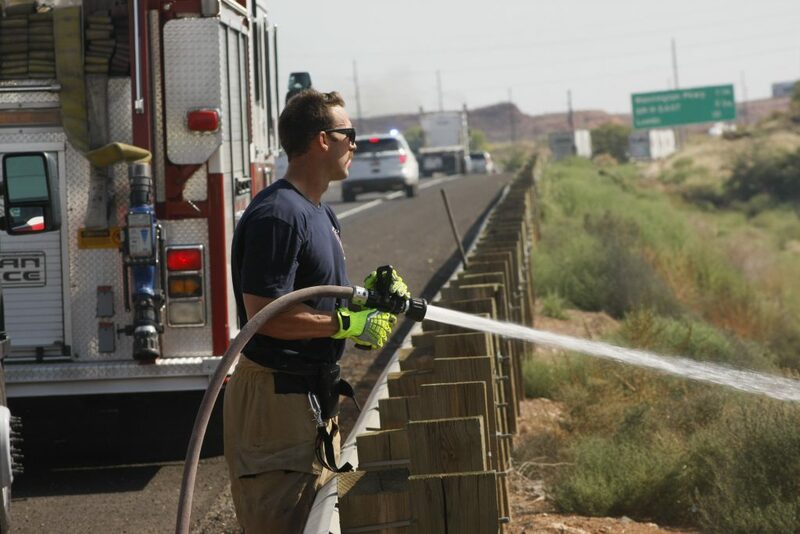 WASHINGTON — Fire crews from the cities of Washington and St. George responded to a series of brush fires along the east side of the Interstate 15 Tuesday morning. 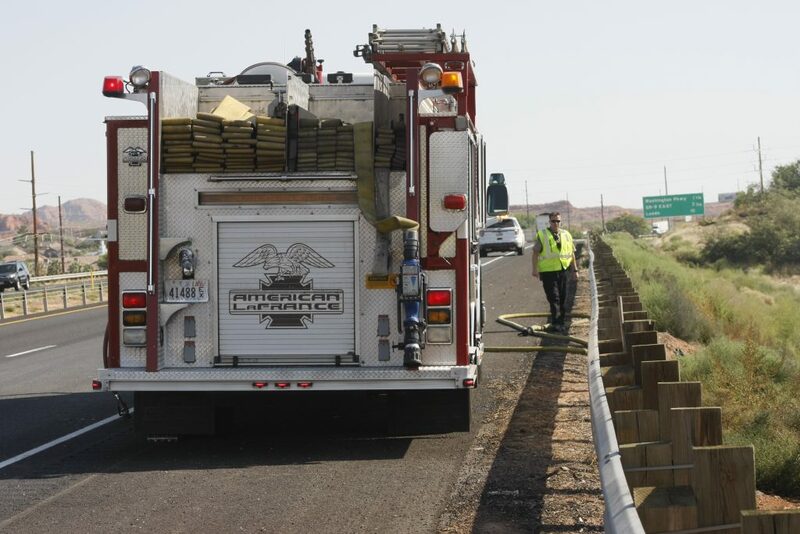 Traffic was temporarily slowed down due to the closure of the far right lane of northbound I-15 near milepost 11 while crews put out the fires and doused remaining hot spots. 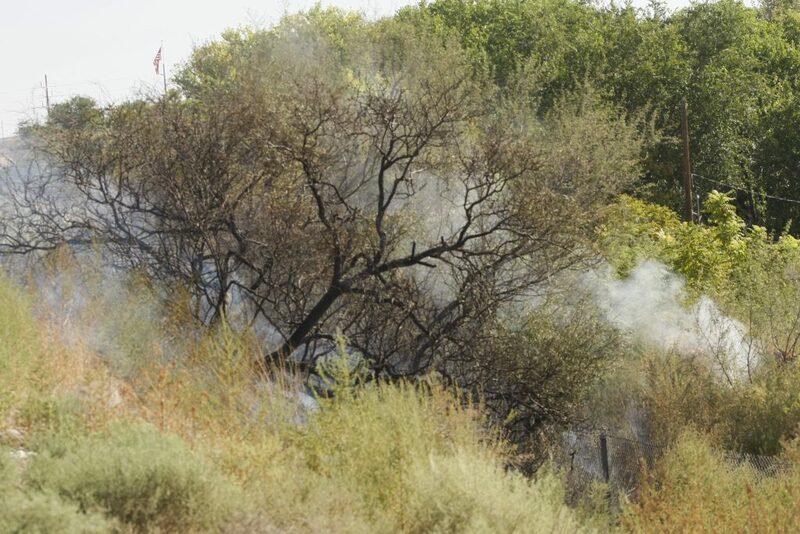 Washington City Fire Chief Matt Evans said five separate fires broke out just after 10 a.m., burning weeds and some trees along the interstate, but no structures were damaged. 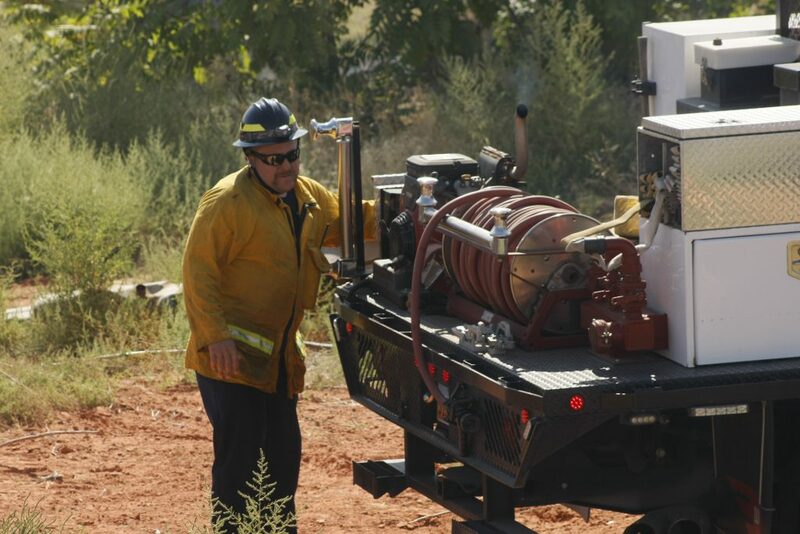 “With the multiple sites, each of the crews (tried) to catch each of the fires before they got out of hand,” Evans said. A total of 10 firefighters responded, Evans said, adding that the initial call came from St. George, who sent an engine to assist. Evans said that the cause of the fires remains unknown. “It’s still under investigation,” he said. 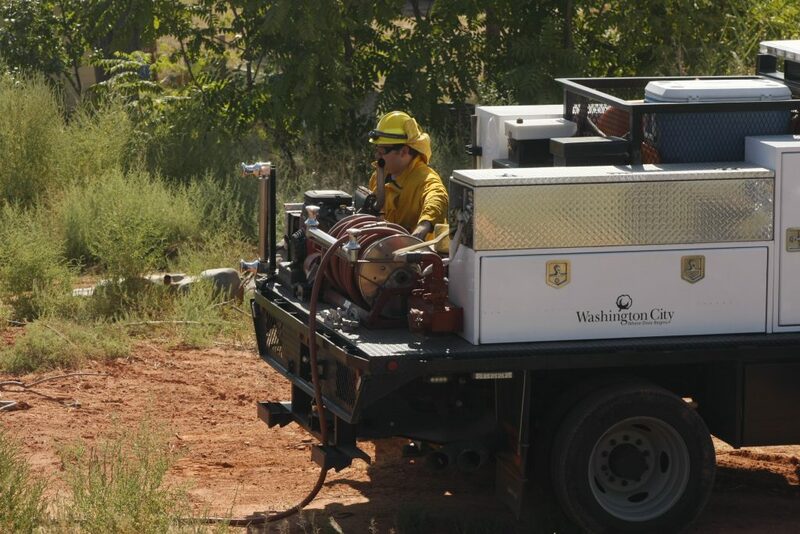 Units from Washington City and the city of St. George fire departments, along with Utah Highway Patrol troopers, responded to the scene.